The Department of Land and Natural Resources Division of Boating and Ocean Recreation begins a $2.8 million project this week to remove and replace a deteriorated pier adjacent to the Maalaea Small Boat Harbor new ferry terminal building. When completed it will provide a new pier for the Lanai ferry and other vessels to load and unload passengers. It will complement the recently completed $16 million ferry and harbor improvement project by Hawaiian Dredging Construction Company. 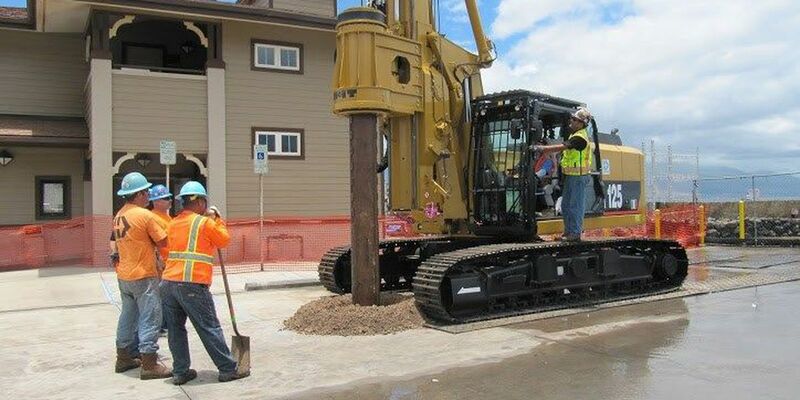 At a ground breaking ceremony last week, the contractor, Hawaiian Dredging Construction Company brought in a brand new excavator with a special auger attachment to drill the holes for the 24" diameter cast-in-place concrete piles that will support the new piers. MAALAEA, MAUI (HawaiiNewsNow) - Copyright 2015 Hawaii News Now. All rights reserved.